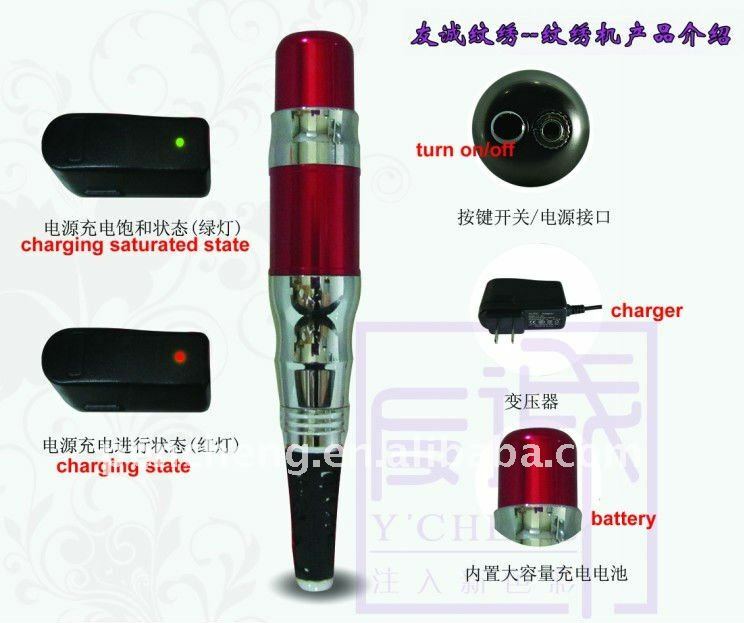 Wireless Permanent Make-up Pen Makeup Tool-DP-R Features: excellent electrical quality,Two hour charging, can work continuously 6-8 hours , Immediate charge, immediately available ,excellent design and work. Two hour charging, can work continuously 6-8 hours.Immediate charge, immediately available. suitable for eyebrows, eyelids and lips,also for small Tattoo design. plug in the needle tube into the transmission shaft,gently insert the needle into the needle tube making sure it is firm and secure. Contact us if you need more details on Makeup Tool-. We are ready to answer your questions on packaging, logistics, certification or any other aspects about Wireless Tattoo Machine、Permanent Make-up Pen. If these products fail to match your need, please contact us and we would like to provide relevant information.